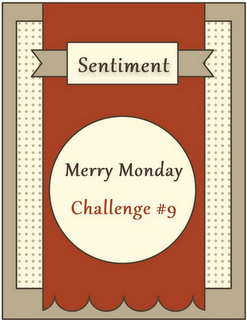 I didnt get a chance to play along with last weeks Merry Monday challenge so I made sure to make time for it today. A very special birthday wish to Torico, who has been the featured designer at Merry Monday this past month, and who is also offering up a prize for this challenge! I hope that wherever you are you had a good Monday! I like your card. The snowmen are so cute and the DSP behind them is perfect. Nice! 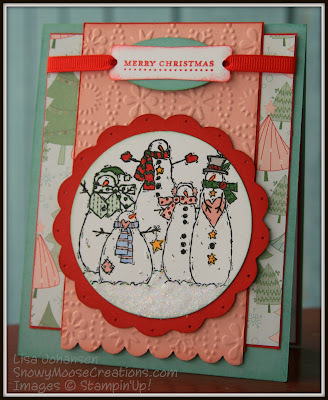 this is such a cute snowman card. great coloring on those snowmen too! Ohh I have not seen this stamp set in a while it is so cute. Fabulous card :). 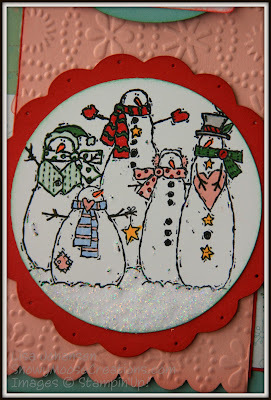 I just LOVE those snowmen, and that DP is some I've hoarded....it's so cute, I can't bear to part with it! So glad you played with the MM sketch this week! 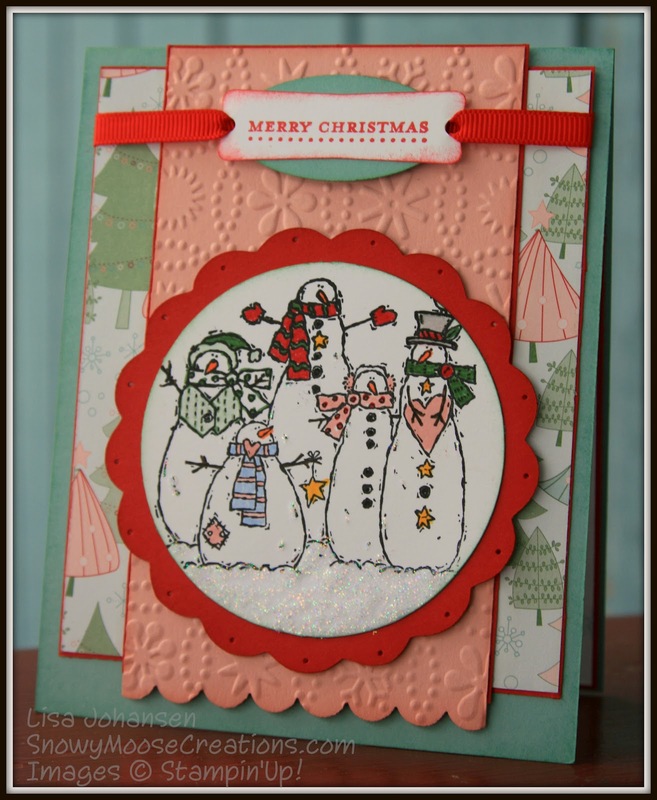 I love those snowmen too, such a sweet card my friend! These are some of my favorite snowmen!! The colors you chose are fabulous - and the texture is perfect, too!! Thanks for playing along this week! !